I always stop at Baozi when I need a fix of Dandan noodles – a sort of Chinese bolognese (my own recipe here). Their baos (steamed buns with delicious fillings) are also to die for. They also have a little takeaway shop next door, where you can buy excellent baos (steamed buns with delicious fillings) and hot pot skewers (devillishly hot). 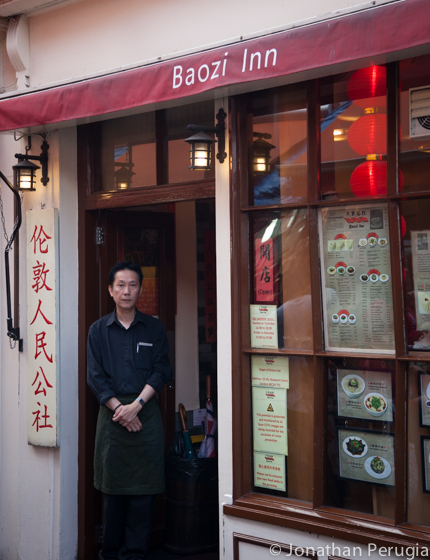 I shot a little video of the Baozi Takeaway shop for Time Out London, which you can watch here.